Shoppers turn to Google to find products that are just right for them. And you rely on Google Manufacturer Center to ensure your products are represented well. In fact, more than 5,000 brands use Manufacturer Center to improve their presence on Google. 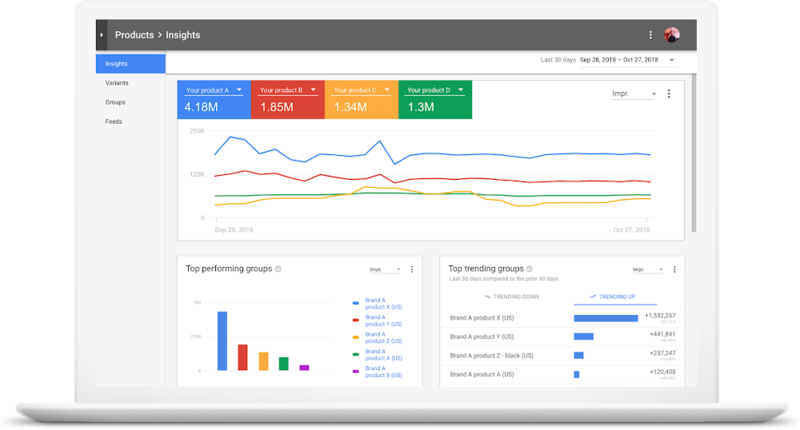 To kick off the new year, we’re making those interactions even better by introducing new ways to show high-quality and inspirational content to shoppers and providing robust analytics to help you better understand how customers are interacting with your brands and products across all of Google. Shoppers are constantly looking for inspiration and assistance on what to buy. In a Google study of ~1,600 people, we found that 56 percent of smartphone users have purchased from an unexpected brand when they considered the brand helpful. To help you inspire your customers and highlight your products’ unique features, we’re launching a new section on Shopping product detail pages, featuring content directly from you. Populate your product pages on Google Shopping with inspirational and high quality content. As our first launch partner, WebCollage is providing this content for eligible manufacturers’ products. Across the web, WebCollage has seen 10 percent more conversions for their clients when more visual content is shown at retailers based on an A/B test. In the coming months, all manufacturers who upload content like inspirational imagery and high quality logos into Manufacturer Center will also be able to provide these more visual experiences to help shoppers.